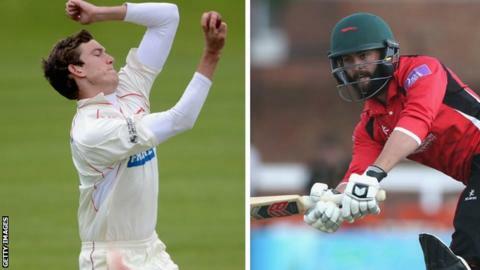 Leicestershire will not renew the deals of bowler Alex Wyatt and batsman Neil Pinner at the end of the season. Wyatt, 25, came up through the club's youth academy and made his first-team debut in 2009. Pinner, 24, signed from Worcestershire in 2014 and scored 365 first-class runs for the Foxes. Chief executive Wasim Khan MBE told the club website: "They are both terrific professionals and we wish them all the very best for the future." Read more on Ashes 2015: How can England bounce back against Australia?